Tedros Adhanom (former minister of health, Ethiopia). Currently we are treating over 200 in-patients per day, and 200 out-patients per day April 2nd, 2019 – (244 in-patients and 220-out-patients). We are bringing vital public healthcare to a vast catchment area; in fact being the only public kids hospital in the entire region of East Africa means we are constantly running at over-capacity. These kids deserve our greatest attention, born into dire poverty through no fault of their own; please join us in providing medical care to East & Central Africa’s only public children’s hospital. We have received patients from outside of Kenya, from the neighboring East African countries. (Tanzania, Uganda, Southern Sudan, Rwanda & Burundi). Our Children’s Hospital opened on Aug 12th, 2015 and now has a 200+-bed capacity that is spread over three floors and a sky unit. We have a large compound and have recently completed a new Kitchens unit in the grounds, and a Music Therapy building play center behind the main building, with a healthy child immunization temporary center, and for recreation, a basketball court. The latest edition are two classrooms to help kids not fall behind with schooling when hospitalized. With over 39% unemployment in the country, it is a must. Our services cover; *A Sick child clinic, *Emergency services, *Neuro services, *Surgical wards, *Medical wards, *Oncology wards, *A Burns unit*+, a number of Doctor’s consulting rooms, Social workers offices, a fully stocked Pharmacy, Immunization out-patient center for the Healthy child, Child Life program, Student medical training program The Hospital has two dedicated Theatres, and ICU, and an HDU which we are currently fund raising for their equipping. Two classrooms for onsite learning for patients. An ISO 15189:2012 certified Laboratory Department. See Full floor plans below. Currently there are only three public children’s hospitals in Sub Saharan Africa (pop. 1bn): Red Cross Memorial, Cape Town, South Africa, 1956, Shoe4Africa 2015, Eldoret, Kenya, and most recently The Nelson Mandela Children’s, opened in September, 2017, in Johannesburg, South Africa.. The mission of the Shoe4Africa Children’s Hospital is to attain the highest level of advanced paediatric safe and effective medical and surgical care. A teaching hospital that will help empower, educate & enable the future of a healthy East Africa. Little Titus gets a check up for his, now healthy, heart. The Shoe4Africa Hospital was gifted to the people of Kenya on August 12th, 2015 from our foundation. On the 13th of August we already had over 60-patients. Today we are over the 150-bed capacity and have a wonderful team of Medics saving lives on a daily basis. 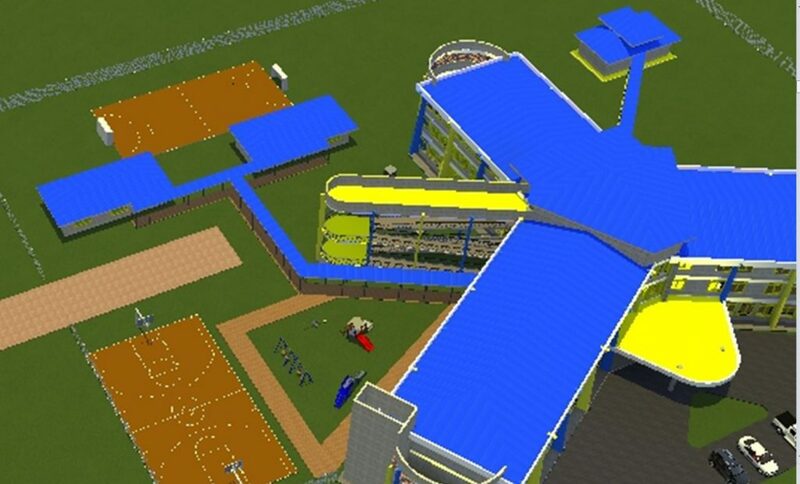 We have two Operating Theaters stocked with state of the art equipment, so we can perform life saving operations, we are also renovating the grounds to build a beautiful playground. Plus a Playrooms house to compliment the playrooms we have on each floor inside the hospital. As you can read there is lots to be done and we would appreciate your help. Access to healthcare is vital; there are one billion people in Sub Saharan Africa. Clearly more needs to be done (England has 21 kids hospitals for a pop. of 51-million, about 5 million more citizens than Kenya, though a lower percentage under the age of 20. The USA has 157-kids hospitals). 1. Creating a study forum for scientific exchange of medical knowledge and training for the next generation of medics between the medical professionals of the Hospital, visiting universities, lecturers, and healthcare professionals teaching the on-campus students of the Moi University Medical School. 2. 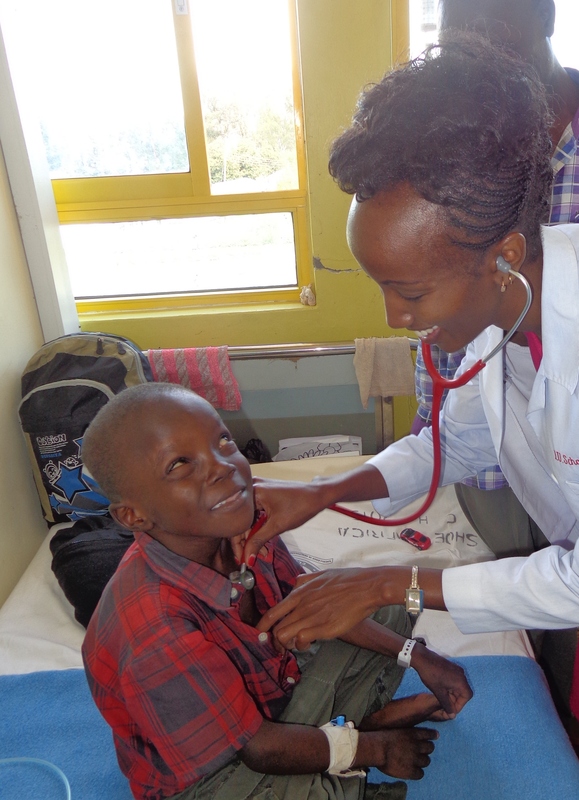 Providing Infrastructure and equipment to enhance the quality of healthcare for the children of East Africa (to date kids from Kenya, Tanzania, Uganda, and Southern Sudan have received treatments). 3. The mission of the Shoe4Africa Children’s Hospital is to attain the highest level of advanced paediatric safe and effective medical and surgical care. 4. A teaching hospital that will help empower, educate & enable the future of a healthy East Africa. 5. Providing a secure source of employment and vast economic growth for the community. MPESA services available in the rear of the main lobby. Watch great 13-minute documentary filmed by Andy Arnold that explains and shows the Hospital, its concept, and design. 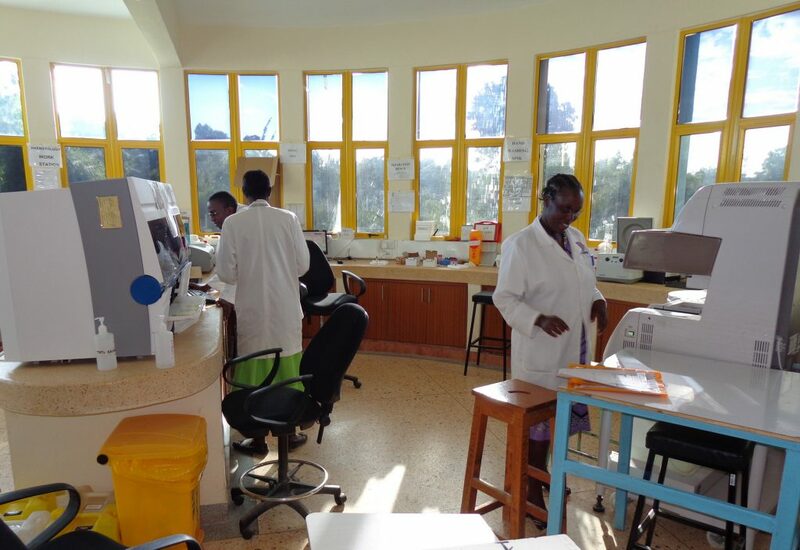 The hospital is less than 1 km from the main Nairobi to Uganda highway, it is 32 km (20-miles) from the HATC sports hotel in Iten, and it is only 15 km from the Eldoret International Airport. 1. Our labs tests over 150 patients daily in less than one-hour test results turn around. 2. Most common illnesses for outpatients are typhoid (and infectious bacterial fever with an eruption of red spots on the chest and abdomen and severe intestinal pain) and malaria. About 40 of 150+ are complicated test cases, like cancer. These take two days (other government hospitals take 14 days for cancer test results). 3. 100% of all prescriptions are filled in The Shoe4Africa Public Children’s Hospital pharmacy. We have heard reports of 50% and below for other hospitals in Kenya. 4. The Shoe4Africa Public Children’s Hospital has a 100% success rate in mitigating medicine and medical supply theft internally and externally. How it works: A system tags a patient with a number from triage all the way to discharge, governs all medications given to the patient. Example: John Smith is triaged in with code number 8080, all his medical supplies and medication cannot be signed out without that code. When John Smith is discharged, the attending Dr. and nurse go through John’s chart crossing off and confirming all prescribed 8080 supplies and medications against the pharmacy bill. No supplies or medications can be given without a patient’s code number against it. SPECIAL PROJECT — Our Playgrounds. Play is a funny word as it invokes a feeling of an afterthought, or lesser importance than, let’s say, ‘Equipment’. Yet can you imagine a children’s hospital without a playground? Right now we can! We need to build one! 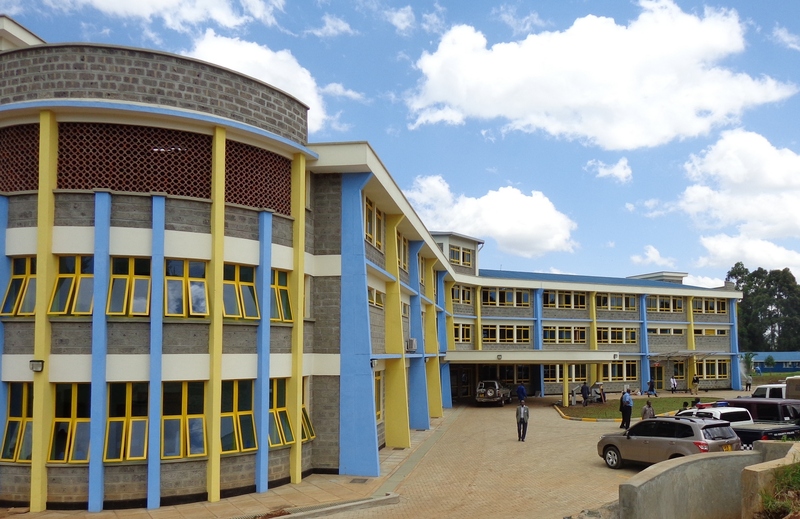 The Shoe4Africa Hospital was opened on Aug 12th, 2015. The saying “Yes” to this project happened on March 17th, 2008. 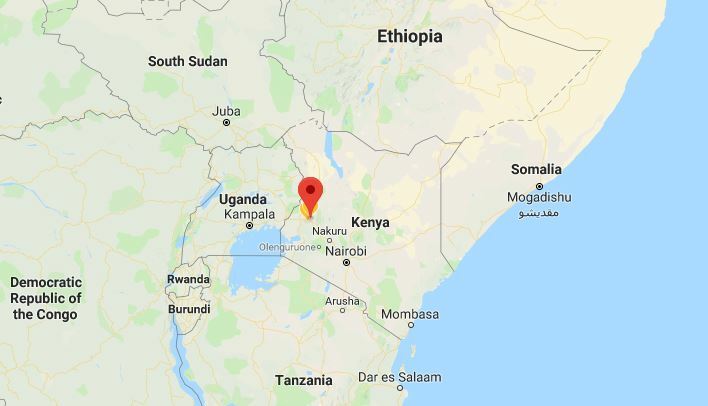 The catchment area is 20-million however kids from outside this area are starting to come to the hospital; we have received patients from as far as Southern Sudan, Tanzania, Rwanda, Burundi, and Uganda. When it opened it was only the second public children’s hospital in Sub Saharan Africa, which has a population of over one billion people. East Africa is home to some of the world’s best endurance athletes. Two of the absolute most famous would be Eliud Kipchoge, Olympic Champion and “Mr. Sub2” and Mary Keitany, the Women’s world record holder. Both are our Shoe4Africa Hospital Ambassador’s and visited the hospital on Dec. 24th last year to hand out our 450 gifts to the athletes. Most of Kenya’s best athletes live in Elgon View, Eldoret, which is a neighborhood a couple of kilometers away from the hospital. Many have now visited the hospital to encourage the kids. 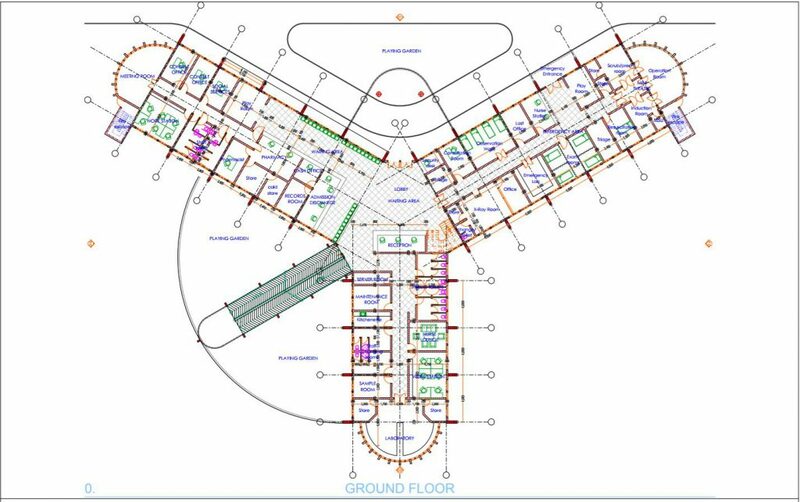 The site was designed to be extremely accessible; there is an International airport 15-kilometers away, plus the main Nairobi to Uganda highway is 2km away. The hospital is in the center of Kenya’s fastest growing city. The Shoe4Africa Hospital is a teaching school. Each day, Monday to Friday, a large bunch of medical students from Kenya’s second largest public university come and do the rounds as they study to become East Africa’s next generation of medics. 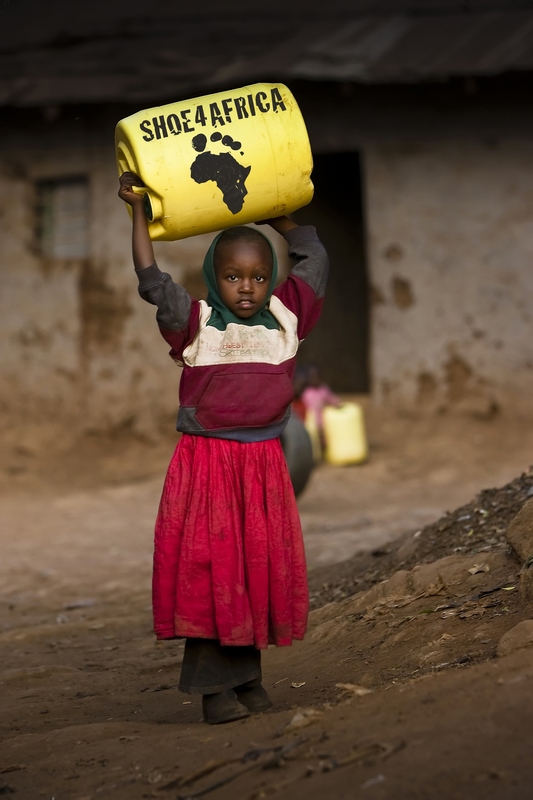 Over half the population of Sub Saharan Africa is under the age of 20. Kids health needs to be a bigger priority to the region. 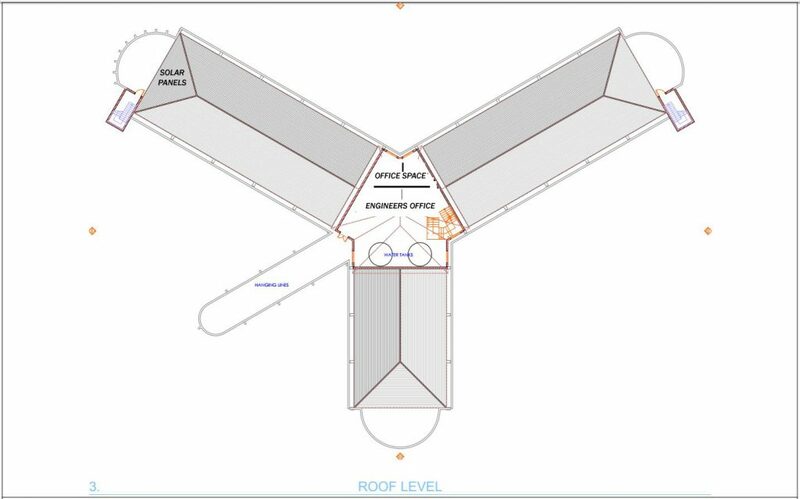 The Hospital has a very unique design, shaped like a flying Tristar. 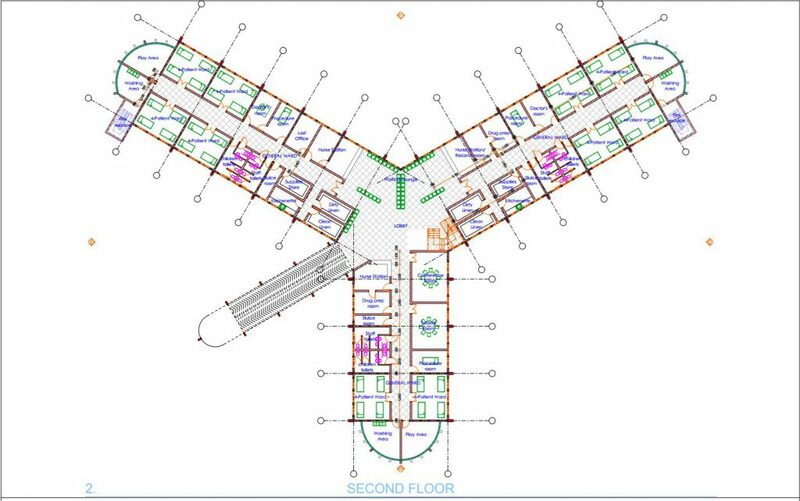 Although this design was far more costly than building the traditional Brick shape it is ideal for a medical facility as the airflows exceed twelve ‘changes’ per minute helping stop the transmissions of diseases. It also allows the use of more natural light aiding in construction. Why a Public Hospital, don’t Private’s run better? We built for the people of Kenya, not for the children of diplomats, UN workers, ex-pats, and for the wealthy who can afford private services. A national public healthcare system, with public hospitals, will help uplift and build a healthy future for Kenya. Private hospitals, run on a for profit basis, make choices who they treat; we don’t. The projects continue: in 2018 a basketball court will be constructed on site, also class rooms and a new playground. Improvements are happening all the time! 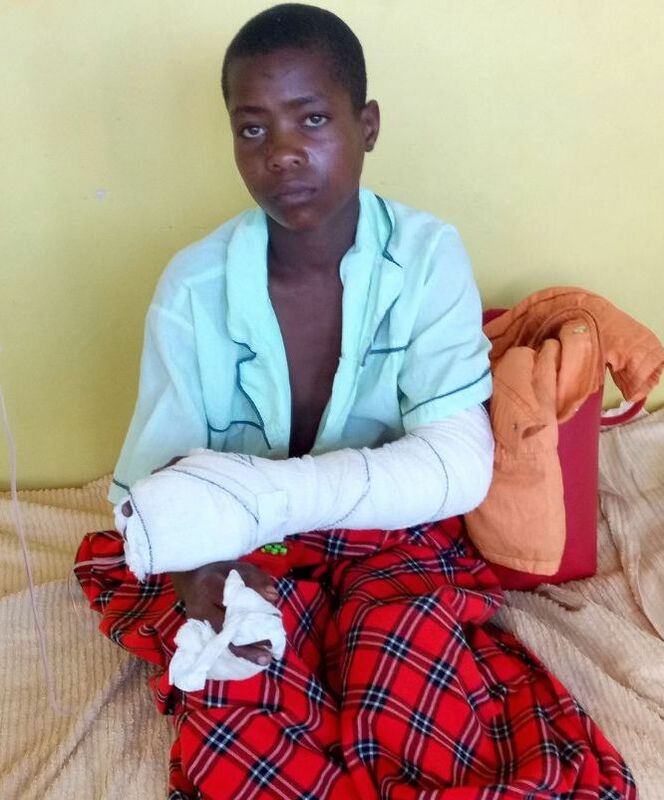 Charles* is a 13-year old resident of Lwandeti, Kakamega County. He is a standard 3 pupil. He has been raised by the grandmother, after the mother abandoned him as a little boy. There are two other siblings in the family. He has been assaulted a couple of times before, even once getting involved in an accident. In another incident, he suffered second degree burns after the uncle tied him up and set him ablaze. He was quickly rushed to Kipkarren hospital and admitted for 2 weeks. He was then referred to Shoe 4 Africa and admitted for septic burns on the left arm secondary to assault. Initially, he displayed signs of severe shock for about a fortnight. However, after spending time with other children at the playroom and playground, Charles started being interactive. Our social workers and staff are highly trained working with the local administration on his safety and protection. Once fully recovered, he will be discharged through the children’s department. It is hoped that Charles will not have to go undergo such inhumane treatment again. His rights are enshrined in the Children’s Act and he is entitled to protection and safeguarding. He has continued to show great signs of improvement while displaying great strength. Not only does he look forward to being discharged; he has also set his eyes on returning to school and working really hard. (name changed). Grandmothers are always everyone’s favorite family member. Grandma Jane is definitely one. In fact she is her grandchildren’s hope. In the slums of Kakamega, about 3-hours from the Shoe4Africa Children’s hospital, the same sad stories are found; no different than the slums around the world. Jane has four sons. All four sons took off to find a better life outside the slums. None of them ever returned to check on their mother Jane. As she tells the story, she says in a way she was happy for them. Assuming they had found a better life. Unfortunately, whatever life her sons had chosen, was not better than the life they left behind. Grandma Jane tears as she begins her story. In 2014, a very weak sick baby was dropped off at her door step. Grandma Jane took one look at the baby boy and knew he was her grandson. While we looked at her wondering what she did next that day, she said two more children were brought to her hut by different women in the next coming years. All different ages and each woman fed up with her sons and their lack of child support. Thousands of women in Africa raise their own children in absence of their fathers, but when one is a prostitute (which these women were), motherhood gets in the way of the fast, dangerous lifestyle. Feb, 2017 Luka (baby dropped off in 2014), died of HIV AIDS. Grandma Jane now had two grandchildren. Alex was dropped off at age 7. His mother could not take care of him anymore with his disabilities. Alex’s only disability was being deaf and dumb. Eunice was 3-years, the other grandchild. Everyday as Grandma Jane went out to look for food for the day, she’d leave Eunice with a neighbor and tie Alex to door frame. The rope around his ankle was long enough that he was able to lie down on twin bed in the single room house. This was Grandma Jane’s secret for almost two years. She would also leave Alex a cup of water and some groundnuts. Two years of daily movement allowed Alex to finally snap the frayed rope. Grandma Jane had just stepped out and supper was on the open fire. No one knows what actually happened when the rope snapped. Perhaps he leaped with joy that he was now free. But jumping around in tiny space with an open fire can quickly become tragic. In early 2017 Grandma Jane walked in to find Alex’s body totally burnt except his head. Dr. John Chumba, one of Shoe4Africa’s doctors, tell us it’s a miracle he is alive. Alex is now in a wheelchair unable to stand because of his burns. Grandma Jane lights up with a smile at the end of her story and says, ‘Look, we are here at the hospital with beds, three very good meals and doctors to treat Alex’. What resilience in Grandma Jane. Without Shoe4Africa Public Children’s Hospital, there would be so many tragic ends to sad stories like Alex and his family. The social workers in the hospital are working with Grandma Jane to make sure her situation changes now Alex is on the mend! We have also found Grandma a job at our Women’s Empowerment Projects. UPDATED AUG 2018 — Alex is now able to walk!! This is the story of Purity Chepkirui. She’s a three year old girl whose life has been saved because of the Shoe4Africa Public Children’s Hsp. More importantly, she was brought to the hospital in critical conditions. Purity was born with a rare condition. She was born without a nasal bone and without part of her nasal cartilage. Our understanding of what the doctors say is that massive amounts of fluid was sitting in the gap and flowing into areas that were causing damage in Purity’s head. Naturally what should have happened would be a formation of cartilage between the tip of her nose to her brow bone to take the place of the nasal bone. Purity was taken to several hospitals and she had episodes of unconsciousness and excruciating head pain. Each hospital visit was all in vain. 98% of the children brought to Shoe4Africa Public Children’s Hsp live in abject poverty. Arriving at the Shoe4Africa Public Children’s Hsp was Purity’s mother’s very last option. Her mother had no more money to travel to yet another hospital. 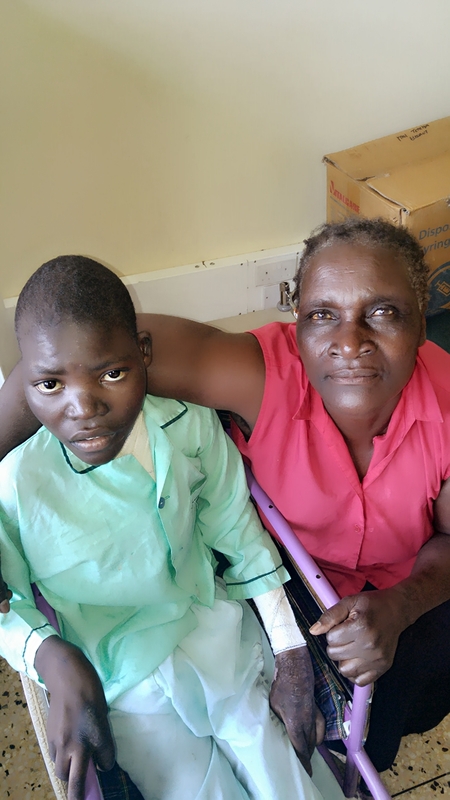 Like the medical staff does so well at Shoe4Africa’s Public Children’s Hsp, Purity was triaged in no time and wheeled into surgery. When she arrived she had been unconscious for a dangerous amount of time. The fluids were drained and preparations for subsequent surgeries are underway to build her nasal bridge and reconstruct Purity’s face. These are our stories of triumph, where parents who have lost hope or with very little hope, find it again at the Shoe4Africa’s Public Children’s Hsp. Purity, unconscious, was extremely close to death. The reality was, and affirmed by the Doctors, Purity was only hours away from her death. Today she is stable, healthy and on the road to recovery. Yet Purity was attended to because of runners and givers like yourself. Next up a story about Precious, and since posting we can thank Tina & Michael for stepping in to help! Precious is a one year old girl who truly is precious. Her mother Mary is a single mother. A result of an unwanted pregnancy in the midst of poverty. Mary had been looking for work for over a year and finally found a job as a house maid, 3 days per week. She did not tell her new employer that she had a one year old daughter because that would cost her the job. Without money or willing relatives to watch Precious the three days she worked, she had to leave Precious at home. A nightmare situation for any parent. She rented a dark tin room in the slums of Eldoret. Everyday she locked the room with her baby girl inside, she’d pray that no one would hear and steal her. Mary would wake up and give Precious a bath in a basin and feed her millet porridge. It was more hearty than breast milk and would keep Precious satisfied longer. Three months of work went by fast; three months of coming home and finding Precious’ cloth nappy soiled and her cloths wet with seat from the heated tin room. But, that was all bearable because Precious was still in the room. The fourth month came along, and Mary continued to go to work and continued to hide little Precious. Precious was growing and on one of the days her mother had gone to work; she began to crawl. A stage every parent welcomes. Sadly, Mary had not put out the cooking fire all out. It continued to burn lightly for several more hours. Little Precious perhaps fascinated by the flames, begun slowly crawling towards the fire. Their bed was on the floor. She of course had no idea the danger before her. We will never know what exactly happened…or how Precious ended up in flames. What is evident is she suffered and perhaps tried to get away and her little body did not know how to crawl backwards or move away fast enough. God is merciful. Despite her whole face and chest burning, she is alive. Mary fainted when she saw her baby Precious crying in pain and her face completely burnt. A neighbor happened to be passing by. News in the slums had spread about Shoe4Africa Children’s Public Hospital and Precious was rushed there. She is slowly recovering, in little pain and awaits more healing before a numerous amounts of skin grafting. 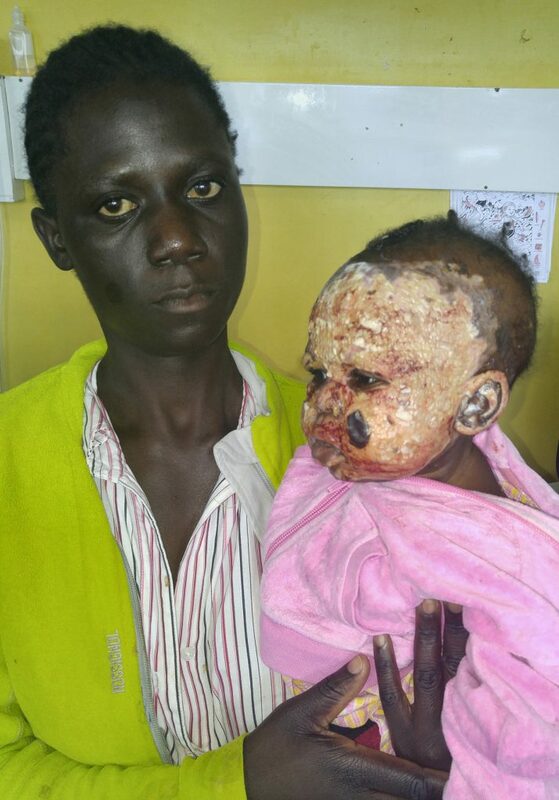 The burn unit doctors are looking forward to give Precious her lovely face back. This is a very sad story. Sad in how humans can be so barbaric to little innocent children. Charles is an 8 years old and comes from the furthest corner of Kenya which boarders Tanzania. He’s from the Kuria tribe, a very small tribe who live both in Kenya and Tanzania. These small tribes are very isolated and often still practice very dark rituals. One of these rituals, are the practices that happen in search of wealth. Wealth to these people may not necessarily be a big bank account or a huge house. It often translates to spiritual powers or the level of fear the community has for a person and the number of wives and cattle. To get this ‘wealth’, involves human sacrifice. It’s hard to write this story in 2017 and imagine this happens today somewhere in world. Charles and his two brothers were very close. Playing with the neighbors outside was an everyday way of life for him. Until one day when four men corralled the boys as they played. It seemed as if these men had been watching Charles and his brothers play daily and knew when Charles’ mother left for work and when the boys were alone. The speed and strength of these men, left no time for the boys to run or scream for help. They were carried into the forest and into a shabby mud hut. Here the unthinkable happened. Charles’s big brother, only 11yrs was tired down by the men, while one of them begun to cut his whole genitalia off. Charles told us his brother passed out from the pain and bleeding and then died. Next was his 9yr old brother. Charles said at this point he was screaming at the top of his voice and so was his 9yr old brother…. but for only a little while before he too died. Then it was Charles’ turn. He said he remembers screaming and asking God to save him. The cutting had just begun when a group of women broke down the door. He was saved, but very badly injured. Imagine the pain, the fear and the torment those young children faced that day. The women were mothers of children who’d long gone under the same ritual and mothers who heard the boys screams. They were against this ritual. Charles’ two brothers died. He was taken to a nearby hospital, but they could not do the surgery Charles needed to ‘put him back together’. A local doctor asked them to take him to The Shoe4Africa Public Children’s Hsp for two reasons. Charles would definitely get treated and definitely be safe from these men or any others. But The Shoe4Africa Public Children’s Hsp was miles away. The women came together and raised enough money for Charles and his mother to travel to Eldoret where the hospital is located. 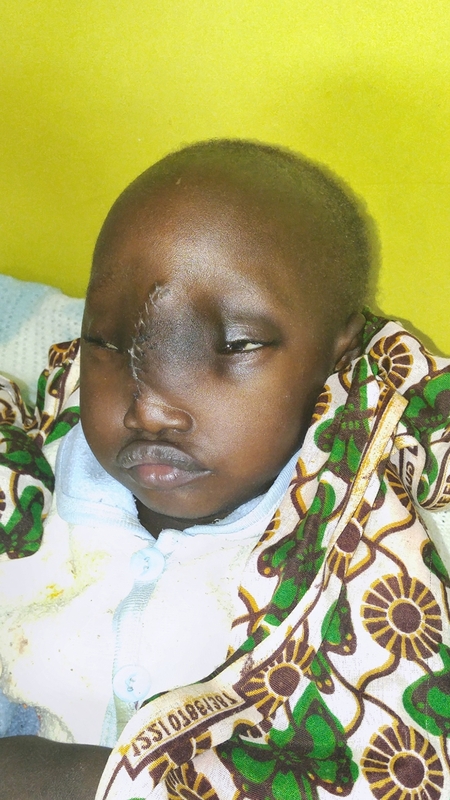 Charles underwent lifesaving surgery and was safe at The Shoe4Africa Public Children’s Hsp. After several weeks, he was able to walk around slowly in the hospital with a limp as some nerves were beyond repair. When he heard Toby Tanser was going to be at the hospital he waited at the entrance with the security guard. He’d been told about Toby and how he saves children. When Charles saw Toby, he held Toby’s hand and said ‘please don’t let me go back home’. We, at Shoe4Africa, are able to save children because we have the support from everyone reading this article, everyone who’s run NYC marathon for Shoe4Africa and everyone who has given to Shoe4Africa over the years. T H A N K Y O U!!! Together we’ve built a safe house inside the hospital! In the Neuro-Burns ward is Broton Rutto; he was burnt on a fateful afternoon on 245th August 2017. 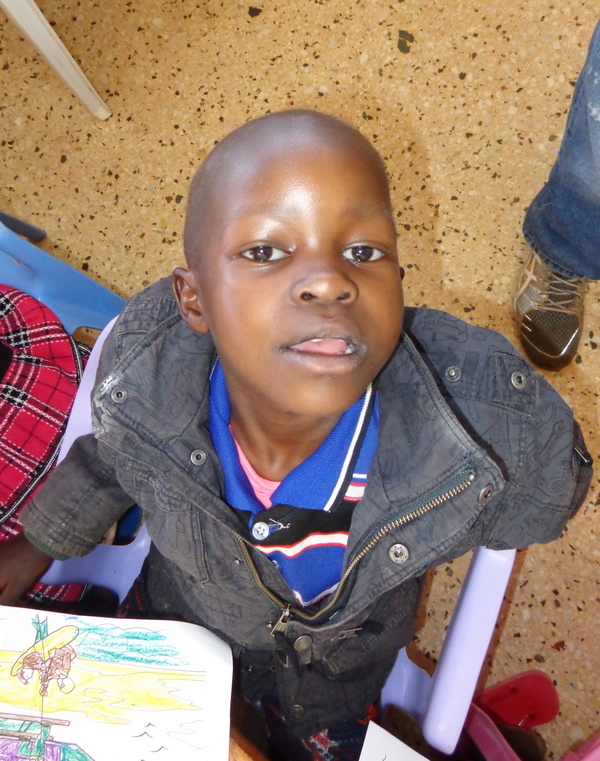 His mother, Nanjala, had left him sleeping as she had rushed to fetched food from the groceries stall. she got back and found her shack house burning up (the source of the fire is not yet known up today). She rushed in to save her son who was by then crying in pain and half of his body was already burnt. 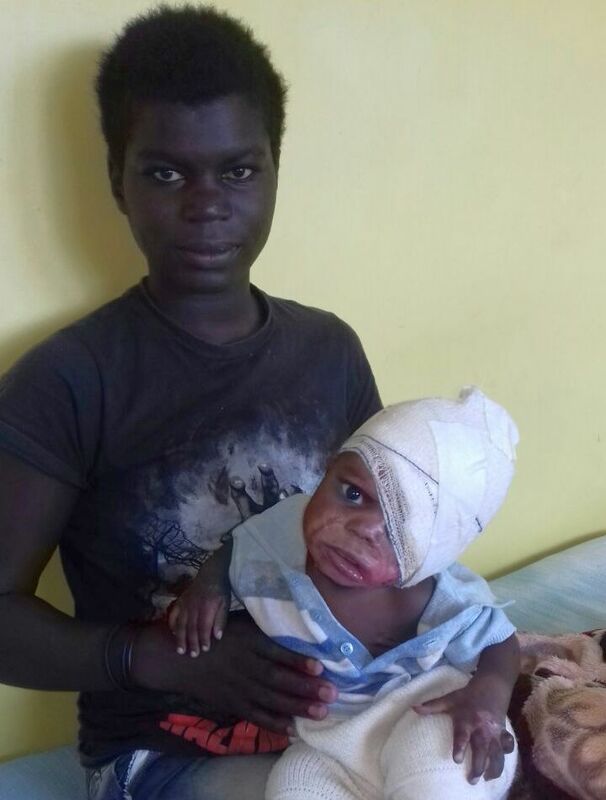 Quickly she picked up her son and rushed him to Kapenguria district hospital using a motorbike and he was immediately transferred to Ortum hospital which is much better in terms of facilities but as the burns were so severe, he was then transferred to Shoe 4 Africa Children’s Hospital by ambulance. Here he was received well and has undergone surgery and is continuing with consequential surgeries which has greatly improved his condition. Faith Nanjala is a single mother with two children. Her first born is 2 and a half years old and Broton is second born at 8 months. She has no formal job and solely depends on odd jobs that come her way, mostly washing people’s clothes in order to feed her children. Her first born now lives with the aunt who also has her own children to feed. She too survives by the grace of god. Nanjala has not been able to work for three months. One of the many stories of struggles for a mother in poverty. 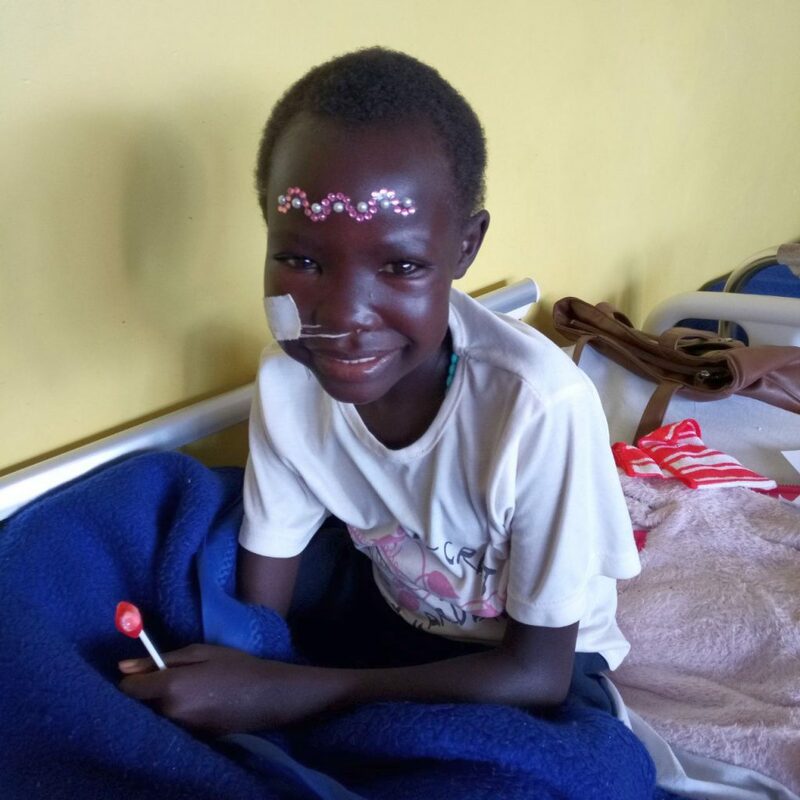 Caren Ekuon of Kakuma camp, Turkana is one of many patients we are helping. She is just one year old. The father rides a moped “taxi” to try and make money to support the family, the mother, Maureen has no job. 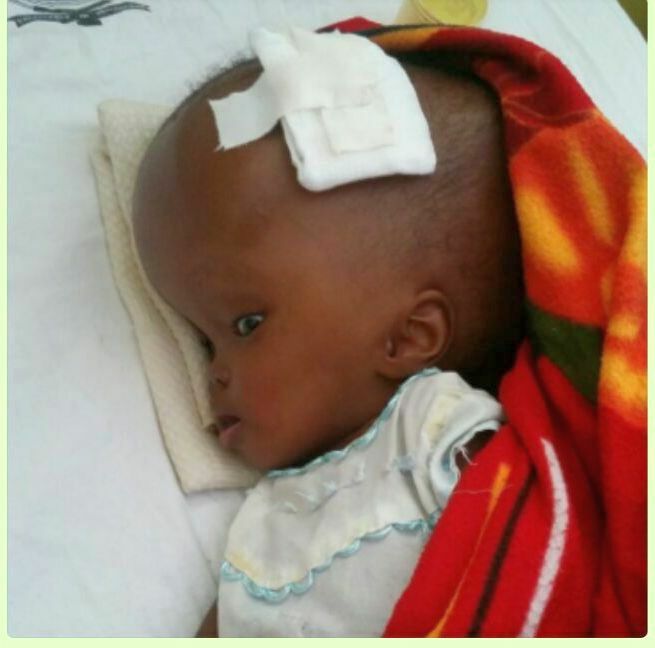 Caren has Hydrocephalus which started when she was three months old. They went to a medical center in Lodwar, the closest town, and were referred to us. I’m glad to say Caren is stable and improving. This is Collins. In a remote part of Western Kenya about 170 miles from Shoe4Africa Hsp, Collins and his big brother Benson were out in the field herding their family cattle like they did every day. This particular day, they spotted a thick wire hanging down from the high voltage lines that stretched across the fields. To Collins and Benson, this looked like a swinging rope. How fortunate, they thought; to break the monotony of herding in the hot sun all day. The two ran towards the electric line and synchronized, both jumped and grabbed the line. Unfortunately it was a live high voltage line, burning the two boys. Benson died on the spot, while Collins whole left side was burnt. For hours the two boys lay there. Collins unconscious. They were found by their father as he wondered why the herd was not back. Collins was taken to a mission hospital where he stayed for 3 weeks. His arm badly infected and slowly rotting. His father had to leave with Collins as they could not pay for the escalating charges. A month later, they arrived at the Shoe4Africa Children’s Hsp. Collin’s arm was now crawling with maggots and severe infection after his family tried traditional medicine and Collins was almost passing from this earth. Collins was examined and was on the operating table within a couple of hours of his arrival. His arm had to be amputated. In the coming weeks he received skin graphing to his left side. As we interviewed his mother, she had a smile on her face….saying ‘If we had not come to Shoe4Africa, Collins would not be here’. She also said, ‘If we had come here sooner, Collins would not have lost his arm’. Collins too was smiling, glad that he was pain free. Which meant more to him than keeping his arm. Sadly, he still has not been told that Benson passed on. He thinks he is recovering somewhere else. His family have chosen to wait for his full recovery before revealing this to him. On Jan 8th Dr. Nathan Mulure, from Novartis, came to visit the hospital and Collins Mum asked to give him an address, “I can tell you for a fact that if it were not for this Shoe4Africa hospital my son, would surely be dead today.” A powerful testament. Naretu, and her mother Priscilla from Samburu, is one of our favorite stories of (so far) a beautiful recovery. 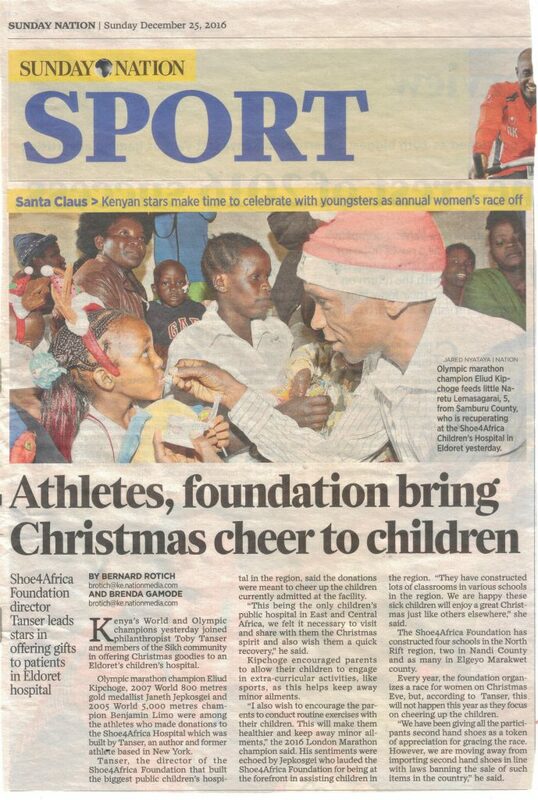 On Christmas eve the Olympic Marathon Champion Eluid Kipchoge came to visit the hospital with some other runners bearing gifts. Eliud spent some time with Naretu, and the major newspaper caught the moment. On Christmas day Naretu’s picture was in the paper. Priscilla noted, “She has been getting gifts like we have never seen before, she is meeting the famous marathoner. Now she herself is famous! Something is happening like I never imagined.” She opened her bedside cupboard and displayed a full stock of supplies, books, gifts and new shoes. A few days after Christmas and Naretu was getting her checkup and the doctors were baffled. Against all odds the prognosis was reversed. Miracles were happening. Naretu was responding to the treatment. At the Shoe4Africa public kids hospital we are seeing miracles and we are treating thousands of kids. We are a teaching hospital preparing the next generation of medics, we are a nutrition center, we are a therapy center and we are practicing healing through medicine and love. Once upon a time there was a field and a dream… today there is a thriving hospital; only the 2nd public kids hospital in the entire region of Sub Saharan Africa. With your help you can help us do more, heal more, save more – your donations will save and change lives to some of the world’s most needy young citizens. (NB: Since this story was printed, Dec 2016, a 3rd public kids hospital has opened, down in Jo’burg South Africa, close to the 1st in Cape Town). 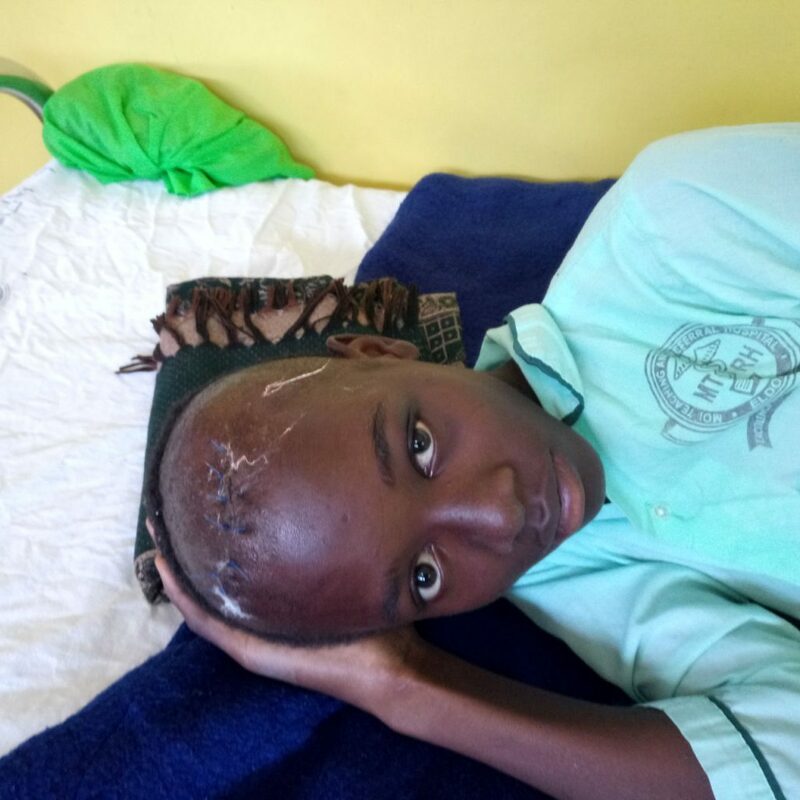 Below is Spenser Macobe whom you are helping, 13-years old, from Kisumu county. He was referred from Jeramogi Oginga Odinga, a local medical center for treatment. He had bacterial infections that were causing concern on his head as you might see. Following surgery at our hospital he is now recovering. We will keep him till he is safe as we have found discharging and expecting parents to keep infected areas clean often does not work as planned. Better to take precautions and send them home fully healed. Spenser, healed and waiting for the wounds to properly seal up! 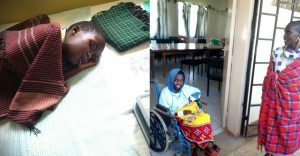 Millicent Cherono, 9, has been in the hospital now for two months. She was diagnosed with plastic anemia. Her bone marrow can’t manufacture the needed blood, so she is totally dependent on blood transfusions. Luckily we are able to provide. Patients come to us from far and wide, see above a story of Burundi. Now, meet Ruth Igesa who was diagnosed with mouth cancer. She was referred to us from the neighboring country Uganda. Ruth has been with us for two months now, and is going to be a long term patient, probably staying with us for at least a year. As she has traveled so far she will be totally in our care and won’t be home for quite some time. This is one of the reasons why we try to make the ‘home’ as fun as possible. And here’s another patient, this one from the Masai tribe! Meet Delany Wafula, (see below) he is 13-years old. He as out in a field playing when he was struck by an overhead electricity wire. He was sent to Matunda district hospital where they sent Delany straight to us, and I am glad to say he is healing fast. “In Kenya, stories emanating from national referral facilities especially public health facilities have not been encouraging. However, when you go to one facility and receive superior service without preference that is something to be appreciated. 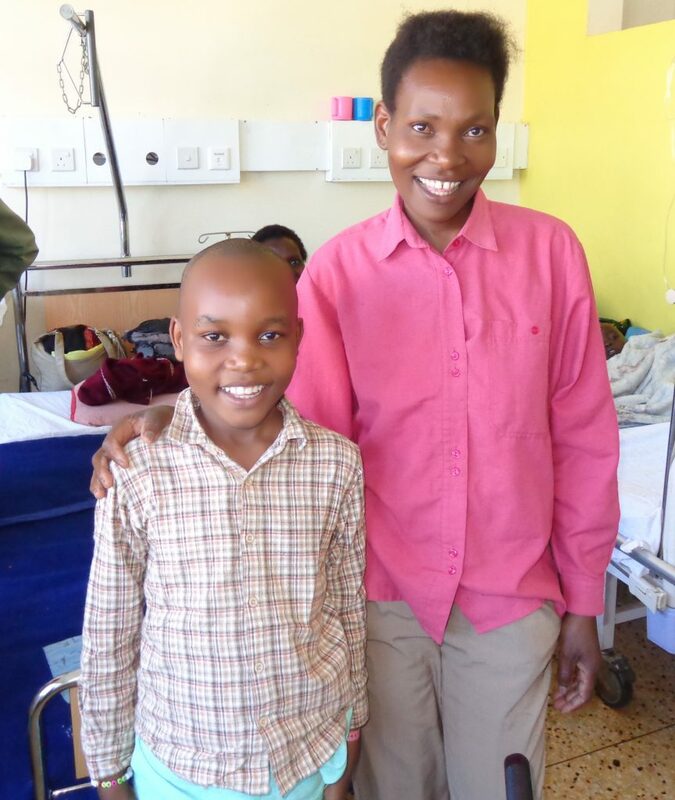 I wish to share a different story of what I experienced on Tuesday 29th May, 2018 after visiting the Shoe for Africa Children Hospital at Moi Teaching and Referral Hospital, Eldoret. I woke up a stressed man. My son was ill. He hadn’t slept well the previous night. Since I didn’t know what was wrong with him, I thought it was prudent for me to take him to a medical institution which most of my friends have always recommended for me. On my arrival at the gate leading to Riley Mother and Baby building, I bumped into two security officers manning the gate. All were looking serious with their work. Going by their looks, they were in their late 40s. One of the Officer approached me and greeted my son. He asked me what was wrong with him and after few chitchat, he directed me to the Children Hospital, which could be seen from the gate where we were standing. Upon my arrival at the building, I went straight to the customer care desk and was well received with a decently dressed lady. She introduced herself as Ms. Juliana Wanja. Upon exchanging few good-natured remarks, she informed me that I was in the right place and I will be accorded all the services to the best of their abilities. She immediately directed me to a designated area dubbed “Triage Area”. I waited for not more than five minutes. Then a lady dressed in a black hijab and whose name was inscribed in the name tag as : Najima Adan Ibrahim – informed me that my son was the next patient to be attended to. Upon my granting her permission, she recorded my son’s weight, blood pressure, pulse rate and body temperature. She did this meticulously as she kept talking tickling him a little bit making my son ,whose fear for injection was building up, relax a little bit. I was informed by Najima that all the vitals were okay apart from his body temperature that was above normal. Najima directed me to the records departments where I was given a card to fill basic information and asked to pay Ksh 50. (fifty cents, in USD) Maureen Kipchumba, the lady that served me affably, informed me that details/information that I shall provide would be saved on the Hospital’s system/database for future reference and treatment. She went further to state that every patient, including my son, has a unique number and every time one is treated there, their medical records shall be captured and easily retrieved in future. Thereafter, I was directed to meet a medical doctor, Dr. Irene Siria. I shared information regarding my son. She examined him and within no time she made some notes on paper and asked me to go to the lab to have my son undergo some tests. This was done as directed by the doctor. Within no time, I was at the lab and immediately the needed samples were taken and I was told to wait for 30 minutes. Thereafter, my son’s name was called out and I picked the results and returned them to the Doctor. On average, it took me less than two hours for my son to be fully examined and treated. I left the Hospital a very happy person. I wish to express my gratitude to the management, nurses, doctors and the all team that assisted me on 29th May, 2018. I am humbled by your humility, professionalism exhibited and most of all, being humane. God bless you all in His own ways. — Kennedy Lesiew. If you go into a children’s hospital in America, you would not expect to see an adult lying in a bed. So why should it be different in Africa. If you go to the Emergency waiting room in America kids and adults don’t sit shoulder to shoulder. In Africa this is the norm. Fact: A children’s hospital, focusing on children only, allows you to better serve the kids and their families and vastly reduces the mental stress of a child. Imagine how terrifying it is for a child to be in the hospital anyway, add the confusion of being thrown into an ‘adult’ world as a child. On the bed next to you is a man who looks old enough to be your grandfather writhing in pain, screaming and crying. As a child how do you handle this? 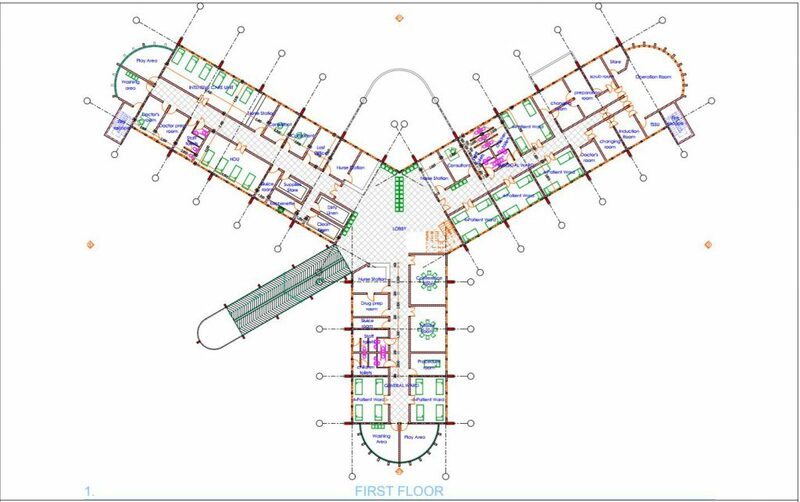 Inside the Children’s Health Village, we are building a site designed with the child in mind. Dr. Okwiya MD, Baltimore, remembers with scars, how he as a child in Kenya threw himself out of a hospital bed in trauma, down onto the floor where he crawled away, when the man in the bed next to him was dying.